Apple has recently released the iOS 10.3.3 firmware update to the public before a few weeks ago. Of course, before launching this update they have followed six developer only and public beta versions nearly two months. And now suppose that this will be the final update for the remaining 10th iPhone OS system. Moreover, the Apple Company has closed the windows to sign in to the last 10.3.2 update. Therefore if you upgrade your device you can’t go back again. You need to wait till another iOS update release. Yes, of course, in the moment as a Cydia lover have you the access for jailbreak iOS 10.3.3? Recently there was a recent update for the older 9th giant firmware. Then can you hope a new chapter? Normally, Apple company closed the previous iOS chapter signing Windows within two weeks of the latest chapter release. Of course, through that, they hope to keep their beloved iPhone, iPad, and iPod touch users with the latest update. Again in this time also they have closed the Windows to sign into the previous iOS 10.3.2 chapter. But for that, they took more than two weeks. Anyhow, still available jailbreak friendly chapter is iOS 10.3.2. Recently the Keen team has demoed for iOS 10.3.2 jailbreak and also, there was some discussion about the latest exploit from The Google Project Zero Member Ian Beer for iOS 10.3.2 jailbreak. And when we focus on the possibility of jailbreak the present iOS 10.3.3 firmware update, still hackers haven’t focus to offer a possible cracking tool to the public. Of course, some times if this was the final chapter then the Company may improve the security features of it. Yeah, no need to worry about that. Hackers will never give up an iOS firmware chapter easily. So as a Cydia lover wait and see. In future, you will be able to use a cracking tool for iOS 10.3.3 as like the latest Phoenix jailbreak. Of course, when we concern in the past history of iPhone OS chapters, Apple Company has released iOS 9.3.5 for the older 9th iOS chapter as the final version of the Chapter. So, now the chapter is old nearly one year and during the time hackers got success o release the latest jailbreak tool for this edition. Of course, Due to its security content, there was not a jailbreak utility available for this chapter. But now before few days the prominent iOS hackers Siguza and Tihmstart got success to rolling out the newest Phoenix jailbreak. Yeah, to develop this marvelous tool the other prominent hackers, Luca Todesco, Max Bazaliy and jk9357 also provide the additional input and UI elements. And when we further focus more on this cracking tool it is a semi-untethered jailbreak tool. 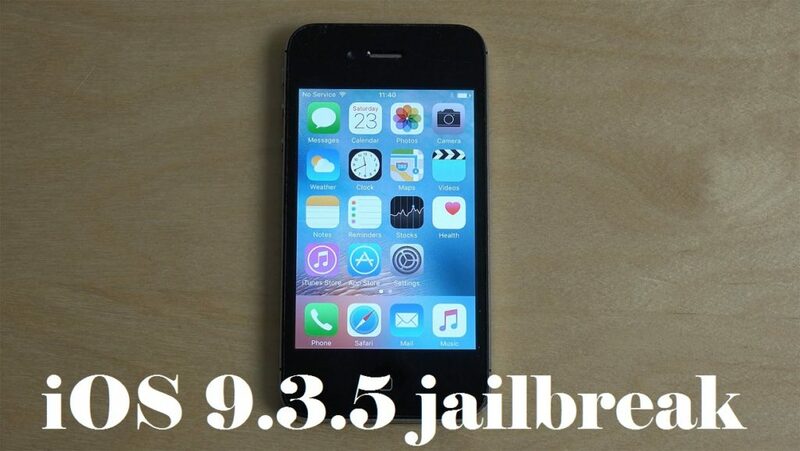 Therefore, the users need to re-jailbreak their devices after each and every reboot. Moreover, the jailbreak App license expired within 7 days. So, users need to rerun the jailbreak app after a week. And Keep in mind this latest Phoenix tool is available for only the iOS 9.3.5 running 32-bit device. It can’t use with the 64-bit devices. Suppose that the available exploit has remained with 32-bit devices. So, can’t gain with the other devices. Yes after a long time this latest tool will be a great relief for the 32-bit device users. At the moment other device users are now focusing to have the Cydia download possibility for iOS 11 chapter. Recently the Company has released the latest iOS 11 5th developer only beta and the 4th Public beta versions. So, this implies us that now the Company steadily reach for their final grand master release. Yes, we can suppose that as the past history this time also, they will release the firmware on the Mid of September. So, now this is the real time for the hackers to focus on developing an iOS 11 jailbreak tool. Yeah, we also, aware on that. So, you can stay tuned with us. We will offer the all latest updates for you as soon as possible.